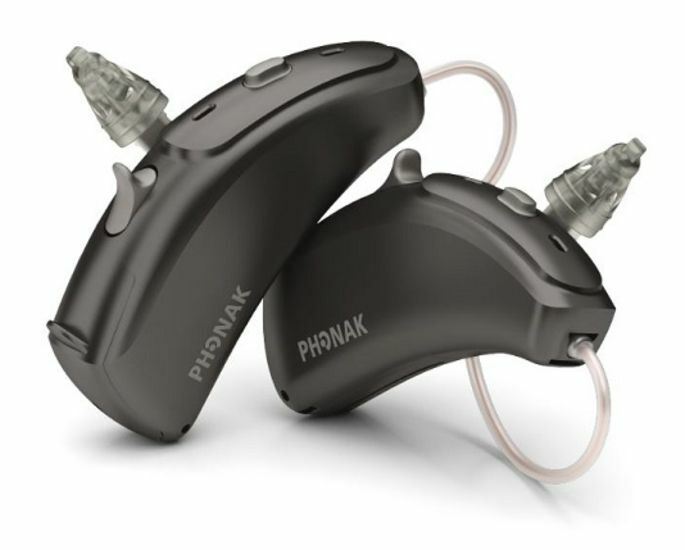 Phonak Naída V hearing aids offer enhanced power combined with the latest in digital hearing aid technology, using Phonak’s Venture platform. They provide fantastic performance and exceptional audibility for individuals with severe to profound hearing loss. The fitting range of the smaller Phonak Naída V models has been increased, meaning that individuals with more severe hearing losses can now benefit from amazing digital hearing aid technology. Naída V hearing aids are now also 25% thinner than their predecessors, making then more discreet, lighter and more comfortable to wear. 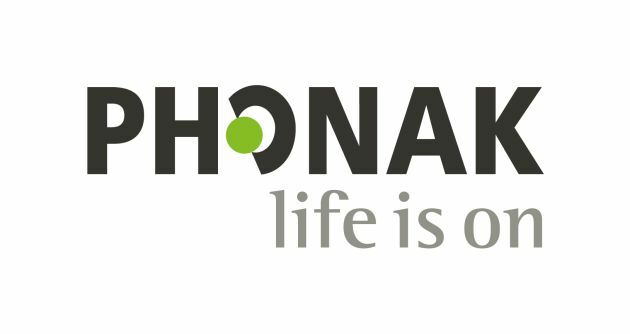 Phonak Naída V hearing aids use Phonak’s SoundRecover2 technology. Working intelligently and adaptively, SoundRecover2 lowers high frequency sounds only when it detects high frequency input. At the same time, it preserves the sound quality in mid and low frequencies. This provides you with a wider range of audible sounds while preserving sound quality, so you can hear more sounds clearly than ever before. Naída V hearing aids are 60% more robust than previous Phonak devices. The casing, as well as being remarkably compact, is now also made from a glass fibre reinforced material. Furthermore, Phonak Naída V aids are IP68-rated for dust and water resistance. While this doesn’t mean you can fully immerse them, you can go out and do all the activities you love without worrying about damaging your hearing aids. This durability also makes them very reliable, giving you the confidence to live your life to the full. 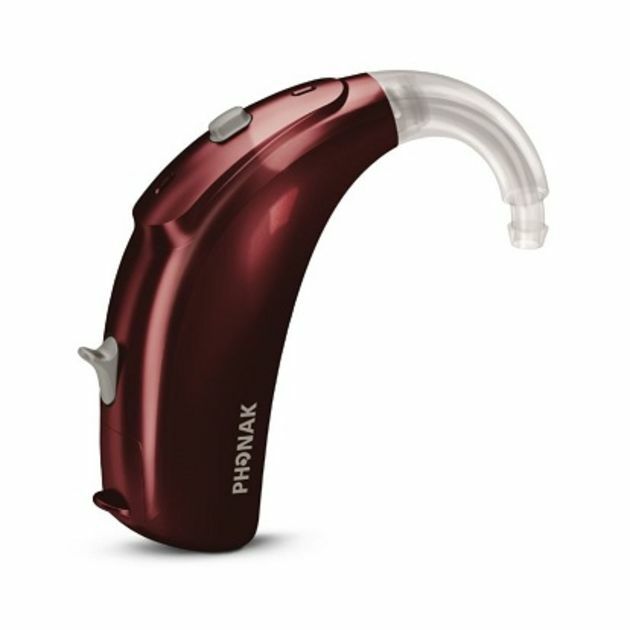 Phonak Naída V hearing aids are available in three different models: a Receiver in Canal (RIC) model for mild to severe losses, and two Behind The Ear (BTE) models for both moderate to profound and severe to profound hearing losses. 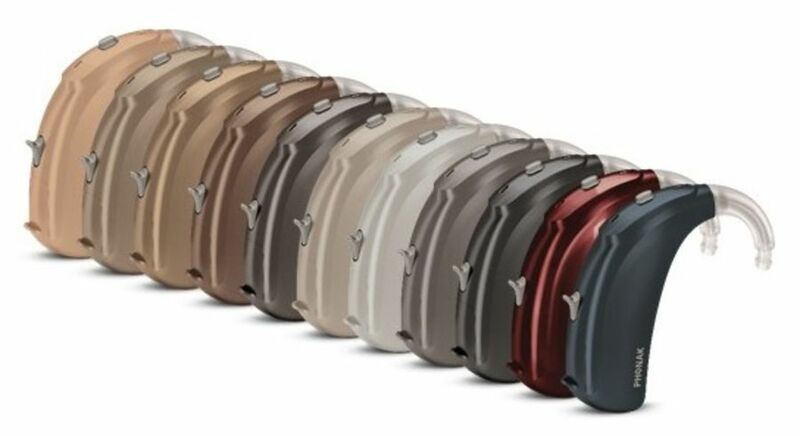 There are 11 colours available for all models. What’s more, each model is available in four different performance levels, offering features and programmes designed for your specific environments. Your Leightons audiologist will be able to advise on the best Naída V device for you based on your individual hearing needs, taking into account your lifestyle as well as your level of hearing loss. Phonak Naída V hearing aids are available now with Leightons Hearing Care. If you would like to see the fantastic digital hearing technology for yourself, why not visit us for a free hearing test which includes a free hearing aid demonstration? We also offer options for a free trial, a helpful payment plan and provide free aftercare as standard. To book a free hearing test with Leightons, you can call us on 0800 40 20 20, book an appointment online or visit your nearest branch.